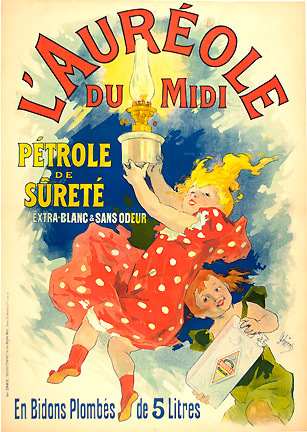 Original lithographic poster printed in colors, printed by Chaix, Paris, France 1893. Condition: Fine (B+) minor restored losses and tears at edges and in folds, vibrant colors, backed on linen. Sheet size: 48 H. X 34 W.